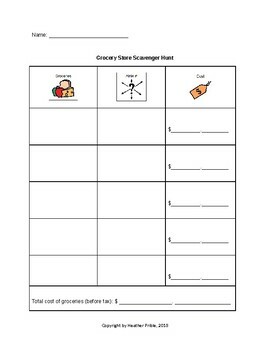 Students will create a shopping list according to the ingredients they need to purchase for a recipe. They will then go on a "scavenger hunt" for the items in the store. Students will record the aisle number where they found the items. They will also record the cost of the items and add the total prior to check-out.